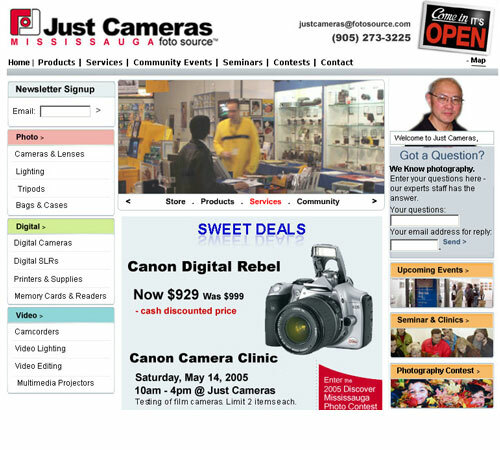 CLIENT JUST CAMERAS / FOTOSOURCE LAUNCHED 2005/6 [custom_button style="btn_large btn_type10" icon="icon-Link" target="_blank" href="http://justcameras.com"]Visit The Site[/custom_button] HIGHLIGHTS * Digital marketing strategy for photography retailer * Re-branding to reach a younger demographic * Online experience, architecture, design, launch * Email list and newsletter system deployment * Easy to use content management system * Initiated web-to-store customer service concept * Generate thousands of new customer interactions * Integration with offline promotions ABOUT THE PROJECT Just Cameras is a member of the FotoSource franchise of photography equipment retailers. 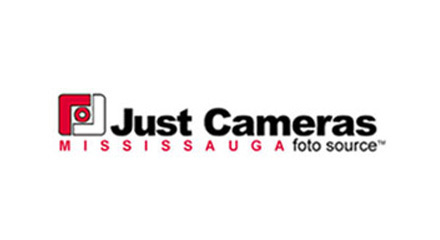 With camera clinics, community trips and events, Just Cameras has build their customer base in the Mississauga community over the past 30 years. With an aging customer base and a more competitive environment, Just Cameras wanted to increase sales by expanding their reach and attracting a younger demographic. 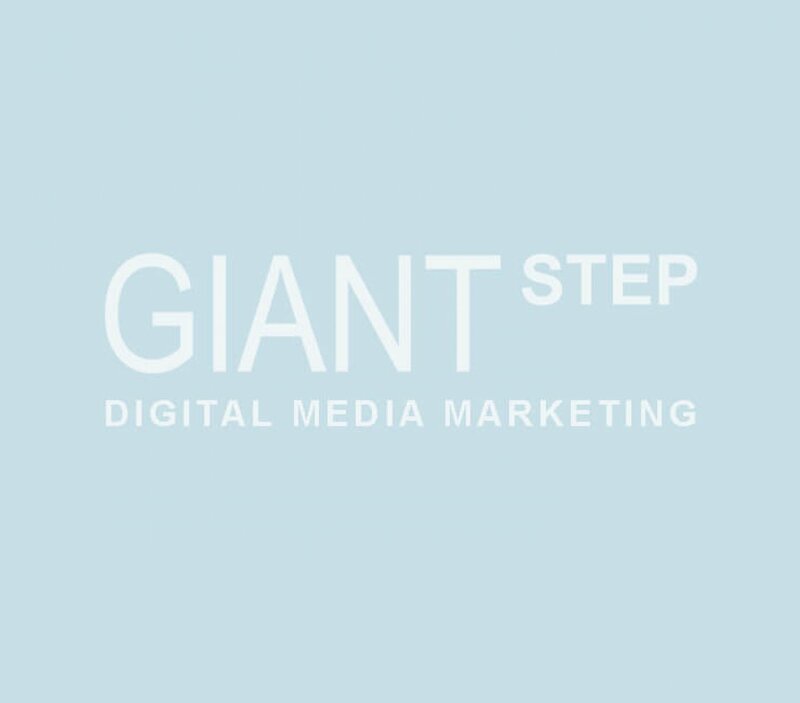 Working with the owners, Giant Step analyzed the overall business and marketing efforts, and developed an integrated marketing plan for growth, including rebranding their online and offline marketing. 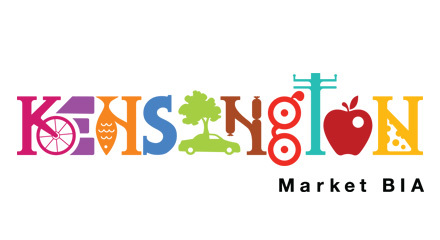 A new web site was developed to attract younger customers with a fresh new look, video introduction, photo galleries, email newsletters and easy to use content management system. 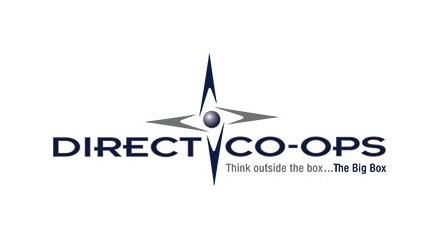 A unique web-to-store initiative focused on the staff's deep knowledge of photography. A web component allowed visitors to ask a questions online, which was answered asap by a customer representative right at the retail counter. The concept generated thousands of daily new customer interactions by tapping into the fact that customers are often reluctant to call or visit the store while they would comfortably type in a question online!